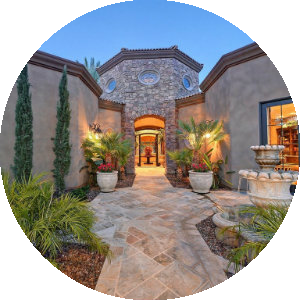 Winfield is a luxury community in Scottsdale, Arizona. Originally a small town named after Winfield Scott, the founder of Scottsdale, the town has evolved and now covers over 300 acres. This area has become a resort destination as well as an international business center. It has also been considered an art haven, drawing art lovers from all over. Homes built in the prosperous community were built between 1998 and 2006. It can be found at the base of Winfield Mountain, which is a 75-acre mountain reserved for Winfield homeowners use. The community has many social and recreational activities available at the Winfield Clubhouse. There are book clubs, bridge clubs and a variety of social events that are held at the 13,500-square foot clubhouse. There are many gathering areas in the clubhouse, and the Standing Rock Café provides fine on-site dining. Many enjoy the billiard room, and health conscious members take advantage of the fitness center. A media lounge is also available for members. For those who enjoy outdoor activities, there are beautiful walking and hiking trails, as well as eight lighted tennis courts. The resort-style swimming pool is great for staying in shape, and the mountain has miles for walking, biking, and hiking. Real estate options in Winfield feature low-maintenance, single-family homes and townhomes. The homeowner's association provides maintenance of front yards, clubhouse, and roofs for the townhomes, which have at least two bedrooms. The single-family homes have at least two bedrooms and a garage. Some have a casita, a guesthouse for visitors. There are also attached homes in the string style, or the 2-3-4 plex style. There is a private neighborhood in Winfield where custom homes were built. This neighborhood is known as Montesano and features homes up to 5,000 square feet that include guest wings and private pools. It is a separate gated area. 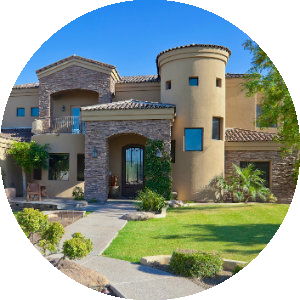 When you combine the amenities of this beautiful community, with the close-by attractions in Scottsdale and Phoenix, you will find this area to be a must consider destination for home buyers searching in the Scottsdale area. 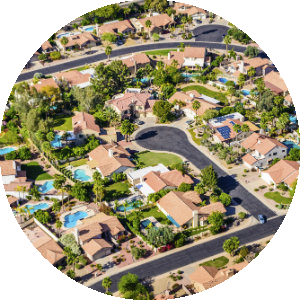 If you would like more information on homes for sale in Winfield, Arizona, please contact us today and allow us to assist you. You'll find the very latest homes for sale in Winfield featured below. This information is updated throughout the day so be sure to check back often! Search the complete inventory of Winfield homes for sale by price, community amenities, square footage and more using our detailed ADVANCED SEARCH option. See something that interests you? Want more information? 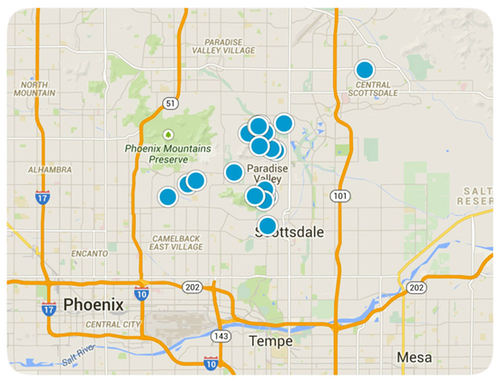 Contact Us anytime to schedule a private showing for any property you find on this site or for more information on the community of Winfield and all Scottsdale area real estate.